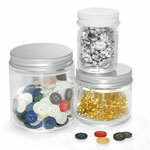 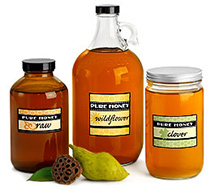 The clear glass jars with PE lined aluminum caps come in a range of sizes sure to fit your product's needs. 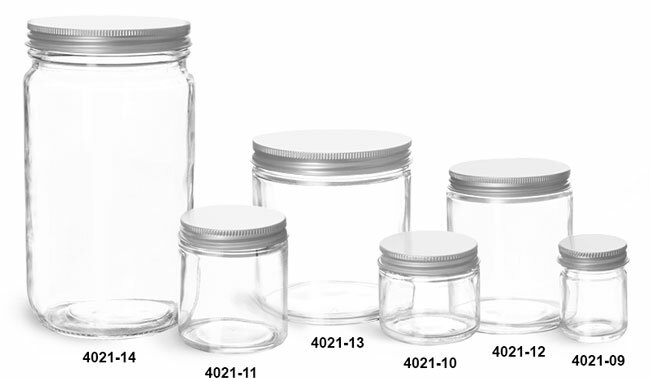 The possibilities are endless with the size selection available to you. 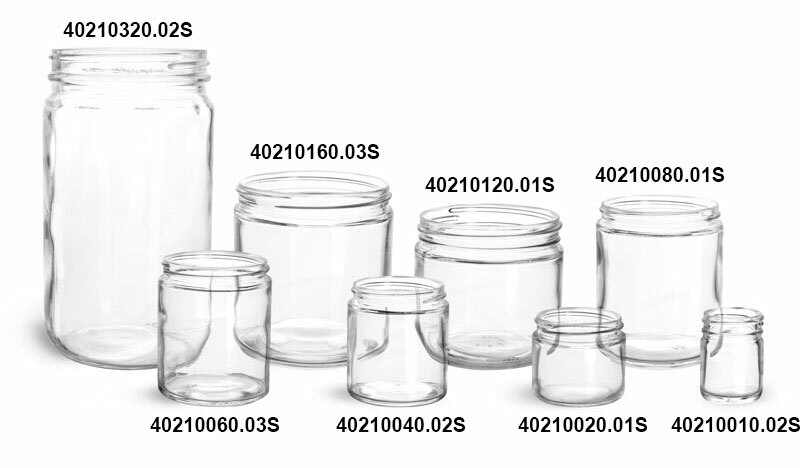 The clear straight sided glass jars could possibly be used to package anything from lotions, creams and bath salts, to candles. The silver caps make for very elegant closures for many products.